From Jedora Estates to River Hollow, St. George Realtors will host 13 open houses the weekend of June 16. St. George, Utah – The Average List Price of an open house this weekend in southern Utah is $518,674, or $169 per square foot. Located throughout the greater St. George area today’s 13 open houses have a collective value of $6,742,762. Of today’s 13 available real estate listings, three have been on the to multiple listing service for more than 125 days. A potential point of future negotiations for buyers to consider, the “Cumulative DOM” (Days on Market) is a direct reflection of how potential buyers view the listing’s per square foot price-point, location, and amenities. The Median List Price of a home on today’s Open House list today is $459,000, or $175 per square foot. And per the WCBR’s FlexMLS system, today’s 13 open houses can be viewed in the following southern Utah subdivisions: Bloomington Hills, Copper Hills, Jedora Estates, Knolls at Little Valley, River Hollow, Siena Heights, Silkwood, Stone Cliff (2), Sunriver, and Sunset Village. Additionally, there is one open house available in Hurricane and Sandy, for your viewing pleasure. FYI: Jedora Estates is located near the Knolls at Little Valley, east of River Road. On the market for just 11 days, the open house in Jedora Estates has a per square foot list price of $160.32. All photos provided by the Washington County Border Realtors, the Flex MLS System, and the listing Realtor. * Information is deemed to be reliable but is not guaranteed. © 2016 MLS and FBS. Prepared by ALEXANDER YEAGER, 435MLS.com on Saturday, June 16, 2018. 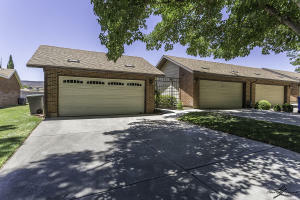 St. George, Utah – For sale on the Washington County Board of Realtors (WCBR) Multiple Listing System (MLS) at roughly $6.1 million, today’s 15 open houses have an Average List Price $413,046 – or $177 per square foot. Of southern Utah’s 15 open houses available this weekend, there is one new listing and three price reductions, according to the MLS data. While the home in the Stone Mountain subdivision has only been on the MLS for the past three days – one home in Coral Canyon has been listed for sale on the MLS for 254 days. The other home with an extended stay on the MLS is the listing in the River Hollow subdivision. On the MLS for 296 days, the home in River Hollow is now listed for $150 per square foot. A potential point of future negotiations for buyers to consider, the “Cumulative DOM” (Days on Market) is a direct reflection of how potential buyers view the listing’s per square foot price point, location, and amenities. As most know, in a hyperactive real estate market, where the average listing is sold in less than 60 days, those homes languishing on the MLS for more than 90 days are viewed as having “issues.” Either pricing issues, location issues or neighbor issues – something’s off. 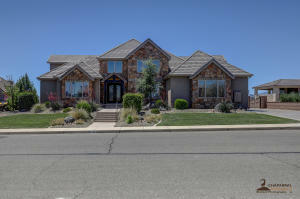 The Median List Price for a home on today’s Southern Utah Open House Directory is $389,900, or $171 per square foot. At the other end of the affordability spectrum – the High List Price on today’s open house list is $949,000. With all homes open Saturday and one open Monday, the most affordable listing on this weekend’s open house directory is listed at $238,900 … or $196 per square foot. Artesia Terrace or Tupelo Estates, St. George Realtors Host 15 Open Houses? 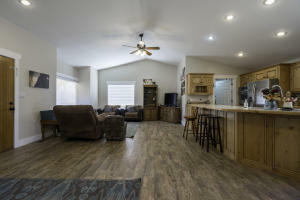 Southern Utah’s 15 open houses can be found in the following subdivisions: Artesia Terrace, Canterwood Estates, Coral Canyon (Two), Mountain View Estates, Padre Lakes Townhomes, River Hollow, Paradise Vista, Sky Mountain Golf Estates, Stone Cliff, Sun River, Tupelo Estates, Views at Stone Mountain, and Zion’s Gate Estates. Per the Washington County Board of Realtors, today’s six open houses are collectively valued $6,195,688. All photos provided by the Washington County Border Realtors, the Flex MLS System, and the listing Realtor. * Information is deemed to be reliable but is not guaranteed. © 2016 MLS and FBS. Prepared by ALEXANDER YEAGER, 435MLS.com on Saturday, May 26, 2018. St. George, Utah – Listed on the Washington County Board of Realtors MLS system at roughly $5.1 million, today’s 13 open houses have an Average List Price $398,775 – or $159 per square foot. A possible point for negotiations, two of the homes on today’s open house directory have been on the MLS for in extended period of time. 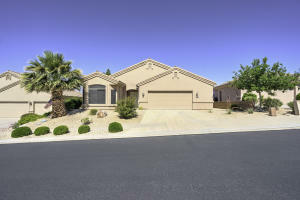 Listed for 529,000 in the Copper Canyon subdivision, #21 Tuacahn has been on the market for 346 days. And lingering on the multiple listing service for 289 days, the home located in the River Hollow subdivision is listed at $465,000 – or $150 per square foot. The Median List Price for a home on today’s Southern Utah Open House Directory is $334,000, or $152 per square foot. At the other end of the affordability spectrum – the High List Price of today’s open houses $949,000. Open Saturday only, the most affordable listing on today’s directory is listed at $264,900 … or $117 per square foot. Copper Canyon, River Hollow, or Sky Ridge? Southern Utah’s 13 open houses can be found in the following subdivisions: Bloomington Hills, Copper Canyon, Copper Leaf Sienna, Coral Canyon, Foremaster Ridge, Harrisburg Lake, Paradise Vista, River Hollow, Sky Ridge, Stone Cliff, Tupelo Estates, Villa Bonita and Zions Gate Estates. Per the Washington County Board of Realtors, today’s six open houses are collectively valued $5,184,074. All photos provided by the Washington County Border Realtors, the Flex MLS System, and the listing Realtor. * Information is deemed to be reliable but is not guaranteed. © 2016 MLS and FBS. Prepared by ALEXANDER YEAGER, 435MLS.com on Saturday, May 19, 2018. St. George, Utah – With a total list value of just over $3 million, the Average List Price on today’s southern Utah open house directory is $505,400 – or $160 per square foot. In addition to providing data from the Washington County Board of Realtors Flex MLS system – this list includes email notifications from fellow Realtors. 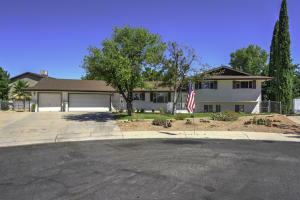 New to the MLS, the open house in Rusted Hills is located in Washington Fields. 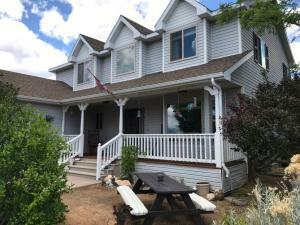 A beautiful Craftsman style home, this property was built in 2017 and is comprised of 3,910 ft.². Listed as a five bedroom / four bath home, this single-family residential listing has been on the multiple listing service for a total of three days. While some of today’s open houses have been on the MLS for more than 335 days, the homes in Rusted Hills and Zion’s Gate Estates have been on the MLS for 3 days and 6 days, respectively. And In a hyperactive real estate market with a diminished inventory, your best deals tend to go quickly. The Median List Price for a home on today’s Southern Utah Open House Directory is $474,500, or $139 per square foot. And at the other end of the affordability spectrum – the High List Price of today’s open houses $850,000. Open Saturday only, the most affordable listing on today’s directory is listed at $264,900 … or $117 per square foot. Rusted Hills, Stone Cliff, Or Copper Canyon? 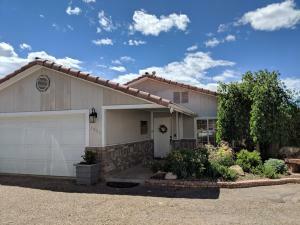 Southern Utah’s six open houses will be available throughout the greater St. George area in the following subdivisions: Bloomington Hills, Zion’s Gate Estates, Stone Cliff, Rusted Hills, Crystal Lakes Townhomes, and Copper Canyon. Per the Washington County Board of Realtors, today’s six open houses are collectively valued $3,032,400. All photos provided by the Washington County Border Realtors, the Flex MLS System, and the listing Realtor. * Information is deemed to be reliable but is not guaranteed. © 2016 MLS and FBS. Prepared by ALEXANDER YEAGER, 435MLS.com on Saturday, May 12, 2018.